When we decided to have Smarty skip a grade and send her to a brand new STEAM school, we knew that we can expect "bumps in the road". However, the situation with middle school math reached the point when we are considering "going rogue" for her math education. Here is why. Don't get me wrong. Smarty loves her school. She loves project-based learning. She loves her social studies teacher that got her interested in history for the first time ever. She loves Leadership and Drama subject. She loves their amazing Maker Lab. She loves learning to play ukulele in her music class. She even, unexpectedly, loves PE and all the fun games their young PE teacher is making them play. There is only one "little problem" darkening this shiny world - her math class. You see, Smarty is really good at math. This was the main reason we skipped her a grade - we wanted more math challenge for her. We imagined her having a math mentor who will challenge her and will also introduce some rigor to her mathematical thinking as in, ahem, showing her work. We also wanted her to have a community of like-minded students where she would have peers for mathematical discussion and group work. This is why we passionately wanted to get into this STEAM school that held so much promise in this regard. What we did not realize is that because of the small size of the school, all four middle school classes will have one teacher who will teach both math and science. We did not know that this teacher, whose resume looked so nice on the school website, will have so little experience in the classroom. We did not know that our daughter will come home a week after a school year started complaining how bored she is in the math class and how math is now her least favorite subject. We did not know that apparently half of the students who choose to came to STEAM school are below standard level in math (I don't have hard data for this last part, it comes from our math teacher). We also did not know that "somebody" will select a curriculum for the sixth grade which is designed for a daily math instruction while our kids will be getting only 2 double periods of math a week and no homework to reinforce what they learn. We did not know that by the end of the first trimester we will be still in the middle of the first math unit (while curriculum expects to be done with two units at this time) and that the students will be repeating the same material over and over again, because they are unable to pass the test. Of course, with all our experiences in advocacy, we haven't stayed idle. I (and several other parents) have expressed our concerns to the teacher early in the year and were told point blank that he does not have time to differentiate the curriculum. We asked then for an assessment on the first unit, which was done and Smarty passed it easily. Then we encouraged Smarty to go and advocate for herself. She and her teacher worked out an approach where she is basically allowed to work on Khan Academy during math. Smarty stopped complaining about being bored and happily went ahead - she is about to wrap up 7th grade math curriculum and in the middle of Algebra class of Khan Academy. However,... we feel that she does need proper instruction. To a degree, she needs to slow down and develop fluency and ability to show her work. I feel that her reluctance to put pen to paper while doing math starts to inhibit her ability to tackle more challenging problems. A group of parents also got together to talk about our math challenges with the principal. That was in early October. The principal acknowledged that we have a problem and promised to come back with a solution. After one month of waiting, we scheduled a family meeting with her. She proposed a scheme when parents would come to the classroom to support students working in centers, something similar to what we had during elementary school times. However, she seems very determined that students should stay on the same topics as the students in the classroom, which does not make sense to us considering the snail space of the classroom instruction. There are some good things that did happen this year. Yet again volunteer parents rose to the challenge and organized an after school math club for kids wanting to have more challenge in math. Amazingly, every week on Friday afternoon 20+ 6th and 7th graders turn up to our class and tackle Olympiad level problems. This is what really makes me frustrated - there is enough critical mass in our 6th grade to have an accelerated math class, yet kids spend a lot of time in their math classes being bored out of their mind and frustrated with an overall pace. They deserve better math instruction that what they are getting in school that calls itself STEAM school. 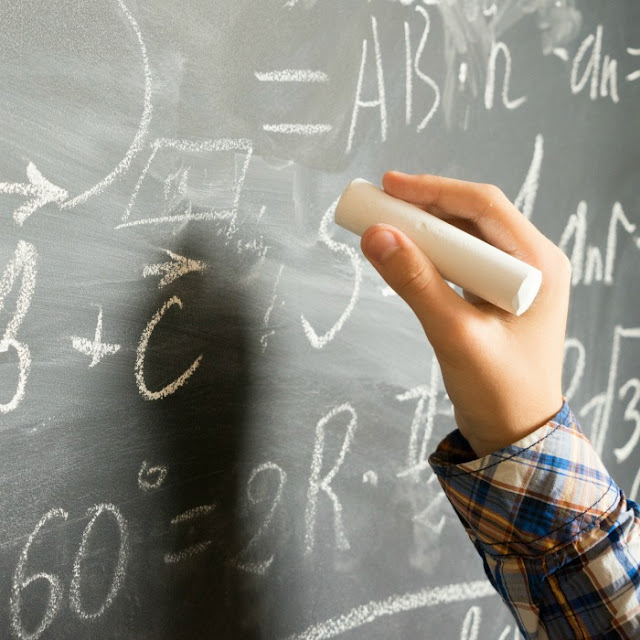 I really like our principal who helped us many times in the past, but it does not look like there will be significant changes in math instruction this year unless we get a second math teacher. This is where we run into a "funny math" problems of school district finances - we spent millions of dollars building a new school, yet we don't have 100K to hire another teacher, because salaries come from a different budget. So... a few of us signed up our kids for The Art of Problem Solving Prealgebra 2 class. We are petitioning school to allow kids who sign up to work on their homework for this class in school and discuss solutions to each other. We even offered to school to come to each class period once a week to explain problems to students if they are struggling. What we don't want them to do is to march with the pace of the classroom. I hate going against administration wishes, but we don't think that it's fair to lose a year of math to a bad teacher. I can only hope that the situation will improve next year when the middle school population increases by 2 more classes, and they will have to add another teacher. In the meantime, Smarty is going to be learning math independently and we will continue to teach it at home. What are your current frustrations with your school or homeschool? That's what I'm planning as well. Either that or Proof School. I feel like math is one of the weakest links in US public school instruction. My 2nd grader spends all morning every day on literacy - which leaves less than 2 hours/day for ALL the other subjects, including math and science. My instructor is terrible at giving the grades to the parents, and so we don't know what's going on. Each time I talk to parents for my local elementary school it reinforces my decision to homeschool.